GoodSync for Mac is an award-winning sync and backup software from Siber Systems, the makers of RoboForm. It's used for synchronizing files between two directories, either on one computer or between a computer and another storage device (e.g. another computer, a removable disc, a flash drive or a smartphone) or between a computer and a remote computer or server. It automatically analyzes, synchronizes, and backs up your emails, precious family photos, music, contacts, financial documents, and other important files locally - between desktops, laptops, servers, external drives, and Windows Mobile devices, as well as remotely through FTP, SFTP, WebDAV, and more. Backing-up and/or synchronizing your critical documents is as easy as one click, and can also be scheduled using a variety of automatic options. One-Way Synchronization Provides an Easy Backup Solution. Lightning Fast Speed, Low Memory Requirement. Syncs Windows folders and FTP, WebDAV, SFTP, S3. Syncs with your Windows Mobile Phone and Pocket PC. Selective File Synchronization: Exclude and Include Filters. Portable Paths for Removable Drives. *GoodSync2Go installs on any portable drive such as a USB flash drive or portable hard drive. 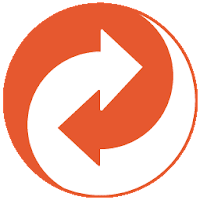 Disclaimer: Direct downloads for the lastest version of GoodSync 10.5.8 for Mac are provided by the official software's author, we can't guarantee safety, availability or download speed. Moreover, we don't and we won't provide any pirated/illegal versions or tools. We recommend you to avoid it as these methods can harm your device. If you like the software, buy it to support the developers. (We provide software discounts for many worldwide brands).